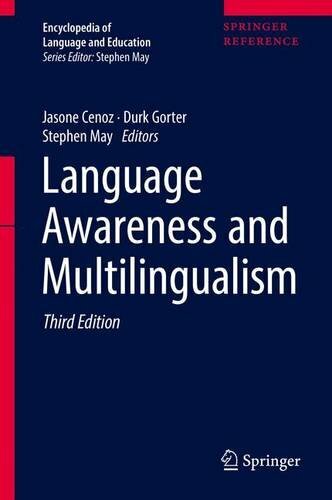 9783319022369 | 3 edition (Springer Verlag, July 14, 2017), cover price $539.00 | About this edition: In this third, fully revised edition, the 10 volume Encyclopedia of Language and Education offers the newest developments, including an entirely new volume of research and scholarly content, essential to the field of language teaching and learning in the age of globalization. 9783319022413 | 3 har/psc edition (Springer Verlag, March 31, 2017), cover price $827.00 | About this edition: In this third, fully revised edition, the 10 volume Encyclopedia of Language and Education offers the newest developments, including an entirely new volume of research and scholarly content, essential to the field of language teaching and learning in the age of globalization. 9783319022383 | 3 har/psc edition (Springer Verlag, July 14, 2017), cover price $659.00 | About this edition: In this third, fully revised edition, the 10 volume Encyclopedia of Language and Education offers the newest developments, including an entirely new volume of research and scholarly content, essential to the field of language teaching and learning in the age of globalization. 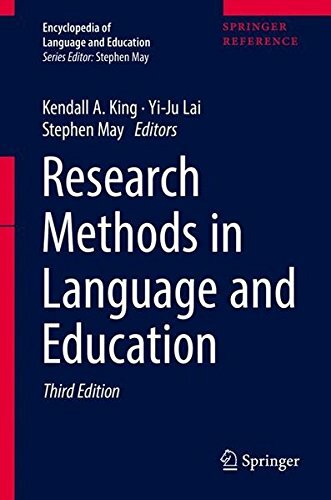 9783319022420 | 3 edition (Springer Verlag, March 31, 2017), cover price $539.00 | About this edition: In this third, fully revised edition, the 10 volume Encyclopedia of Language and Education offers the newest developments, including an entirely new volume of research and scholarly content, essential to the field of language teaching and learning in the age of globalization. 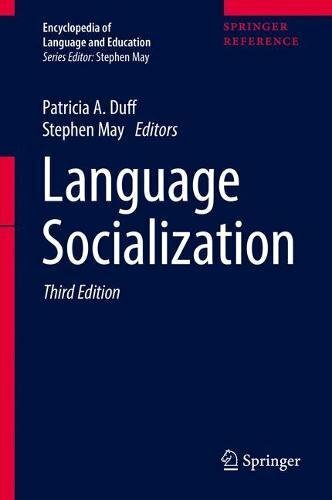 9783319022390 | 3 edition (Springer Verlag, March 31, 2017), cover price $539.00 | About this edition: In this third, fully revised edition, the 10 volume Encyclopedia of Language and Education offers the newest developments, including an entirely new volume of research and scholarly content, essential to the field of language teaching and learning in the age of globalization. 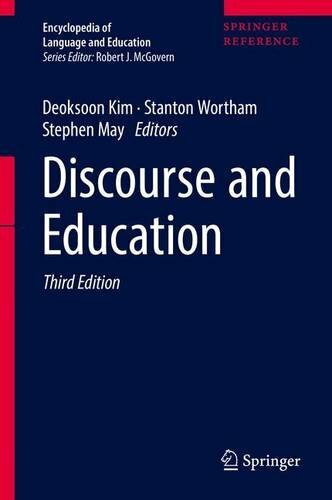 9783319022567 | 3 har/psc edition (Springer Verlag, March 31, 2017), cover price $827.00 | About this edition: In this third, fully revised edition, the 10 volume Encyclopedia of Language and Education offers the newest developments, including an entirely new volume of research and scholarly content, essential to the field of language teaching and learning in the age of globalization. 9783319022598 | 3 har/psc edition (Springer Verlag, November 29, 2016), cover price $449.00 | About this edition: In this third, fully revised edition, the 10 volume Encyclopedia of Language and Education offers the newest developments, including an entirely new volume of research and scholarly content, essential to the field of language teaching and learning in the age of globalization. 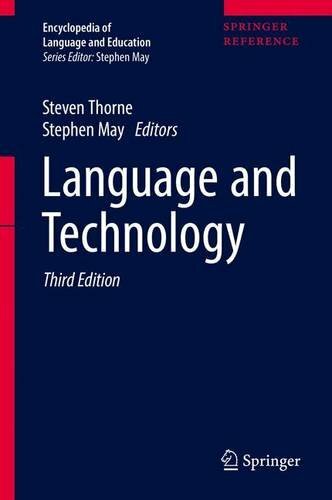 9783319022574 | 3 edition (Springer Verlag, November 29, 2016), cover price $299.00 | About this edition: In this third, fully revised edition, the 10 volume Encyclopedia of Language and Education offers the newest developments, including an entirely new volume of research and scholarly content, essential to the field of language teaching and learning in the age of globalization. 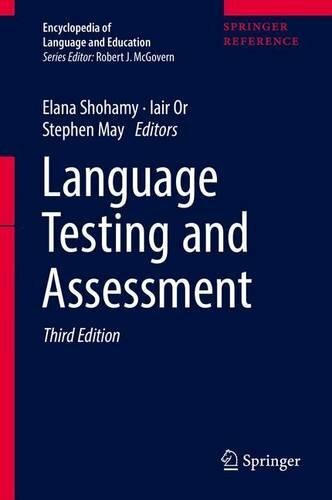 9783319022543 | 3 edition (Springer Verlag, March 31, 2017), cover price $539.00 | About this edition: In this third, fully revised edition, the 10 volume Encyclopedia of Language and Education offers the newest developments, including an entirely new volume of research and scholarly content, essential to the field of language teaching and learning in the age of globalization. 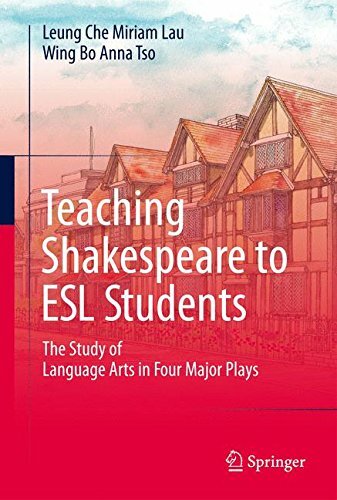 9783319022451 | 3 edition (Springer Verlag, July 14, 2017), cover price $539.00 | About this edition: In this third, fully revised edition, the 10 volume Encyclopedia of Language and Education offers the newest developments, including an entirely new volume of research and scholarly content, essential to the field of language teaching and learning in the age of globalization. 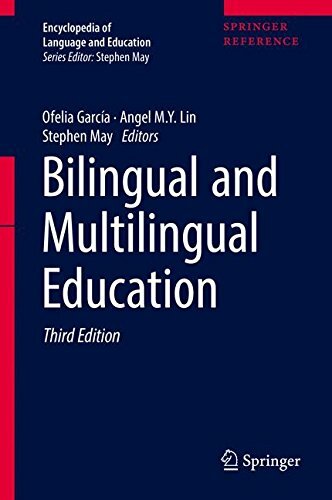 9783319022604 | 3 edition (Springer Verlag, July 14, 2017), cover price $539.00 | About this edition: In this third, fully revised edition, the 10 volume Encyclopedia of Language and Education offers the newest developments, including an entirely new volume of research and scholarly content, essential to the field of language teaching and learning in the age of globalization. 9783319022628 | 3 har/psc edition (Springer Verlag, July 14, 2017), cover price $827.00 | About this edition: In this third, fully revised edition, the 10 volume Encyclopedia of Language and Education offers the newest developments, including an entirely new volume of research and scholarly content, essential to the field of language teaching and learning in the age of globalization. 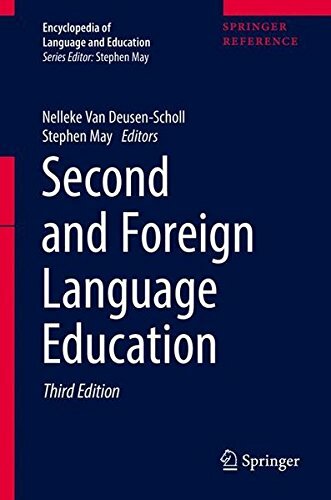 9783319022482 | 3 edition (Springer Verlag, March 31, 2017), cover price $299.00 | About this edition: In this third, fully revised edition, the 10 volume Encyclopedia of Language and Education offers the newest developments, including an entirely new volume of research and scholarly content, essential to the field of language teaching and learning in the age of globalization. 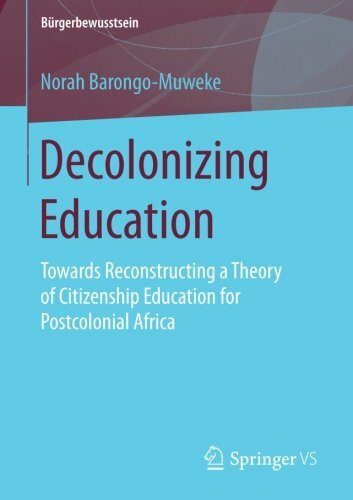 9783319022505 | 3 har/psc edition (Springer Verlag, March 31, 2017), cover price $449.00 | About this edition: In this third, fully revised edition, the 10 volume Encyclopedia of Language and Education offers the newest developments, including an entirely new volume of research and scholarly content, essential to the field of language teaching and learning in the age of globalization. 9783319022536 | 3 har/psc edition (Springer Verlag, January 26, 2017), cover price $449.00 | About this edition: In this third, fully revised edition, the 10 volume Encyclopedia of Language and Education offers the newest developments, including an entirely new volume of research and scholarly content, essential to the field of language teaching and learning in the age of globalization. 9783319022512 | 3 edition (Springer Verlag, January 26, 2017), cover price $299.00 | About this edition: In this third, fully revised edition, the 10 volume Encyclopedia of Language and Education offers the newest developments, including an entirely new volume of research and scholarly content, essential to the field of language teaching and learning in the age of globalization. 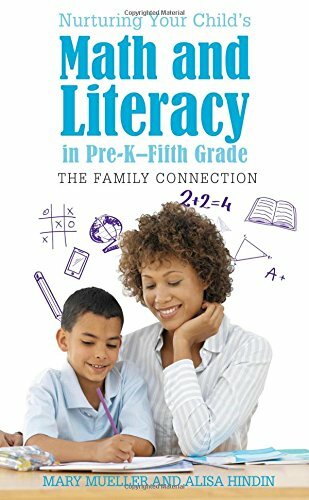 9781475825992, titled "Nurturing Your Childâs Math and Literacy in Pre-k-fifth Grade: The Family Connection" | Rowman & Littlefield Pub Inc, November 8, 2016, cover price $35.00 | About this edition: With recent changes in the curriculum and standards in language arts and mathematics, parents often are challenged to find ways to help their children be successful in their learning endeavors. 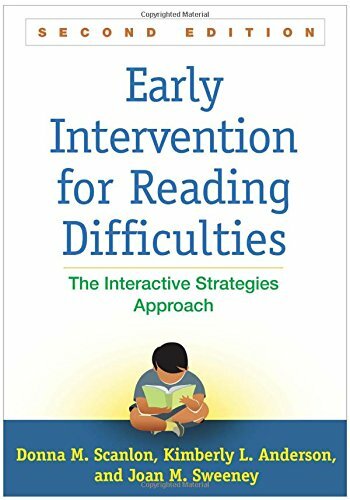 9781462528103 | 2 edition (Guilford Pubn, November 30, 2016), cover price $85.00 | About this edition: Grounded in a strong evidence base, this indispensable practitioner guide and text has given thousands of teachers tools to support the literacy growth of beginning and struggling readers in grades Kâ2. 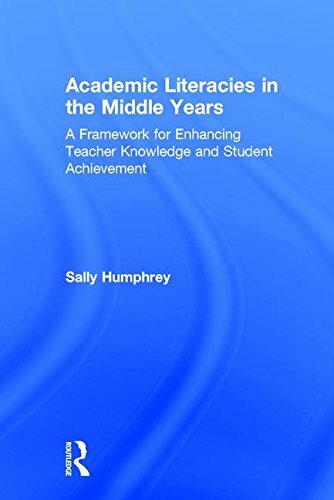 9781606238547 | Guilford Pubn, July 2, 2010, cover price $55.00 | About this edition: This book presents a research-supported framework for early literacy instruction that aligns with multi-tiered response-to-intervention (RTI)Â models. 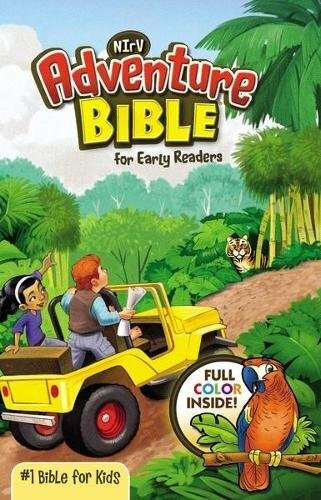 9781462528097 | 2 reprint edition (Guilford Pubn, November 30, 2016), cover price $40.00 | About this edition: Grounded in a strong evidence base, this indispensable text and practitioner guide has given thousands of teachers tools to support the literacy growth of beginning and struggling readers in grades Kâ2. 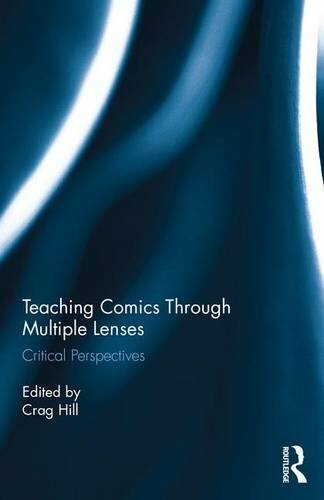 9781138649958 | Routledge, October 1, 2016, cover price $160.00 | About this edition: The professional learning framework this book presents is designed to support teachersâ understandings of how language functions in their academic disciplines. 9781138649965 | Routledge, October 1, 2016, cover price $49.95 | About this edition: The professional learning framework this book presents is designed to support teachersâ understandings of how language functions in their academic disciplines. 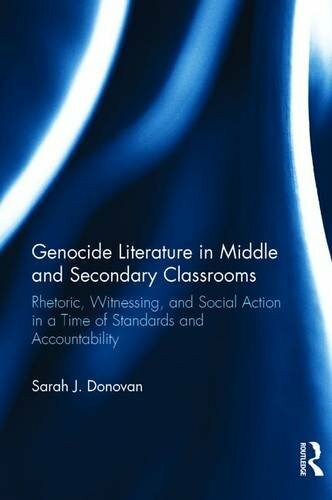 9781138657236 | Routledge, September 13, 2016, cover price $160.00 | About this edition: At the heart of this inquiry into the ethical implications of education reform on reading practices in middle and secondary classrooms, the central question is what is lost, hidden, or marginalized in the name of progress? 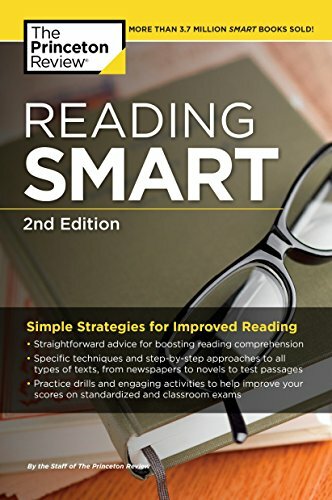 9781101882276 | 2 edition (Princeton Review, September 13, 2016), cover price $13.99 | About this edition: SIMPLE STRATEGIES CAN MAKE YOU A BETTER READER.